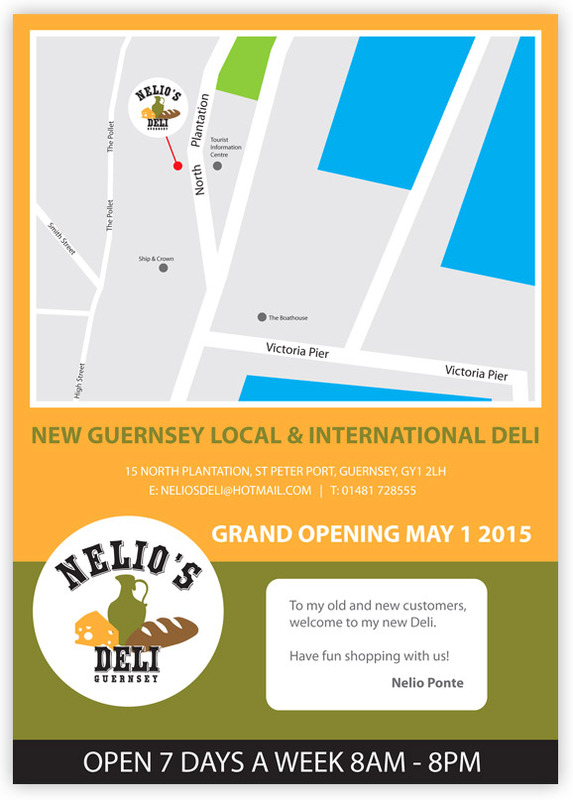 I was asked to design and produce a logo for Guernsey delicatessen Nelio’s Deli. The logo was to feature on all promotional material as well as on the front of the building. The logo looks great thanks for your brilliant job, everyone loves it. Well done Matt, the hard work really paid off. 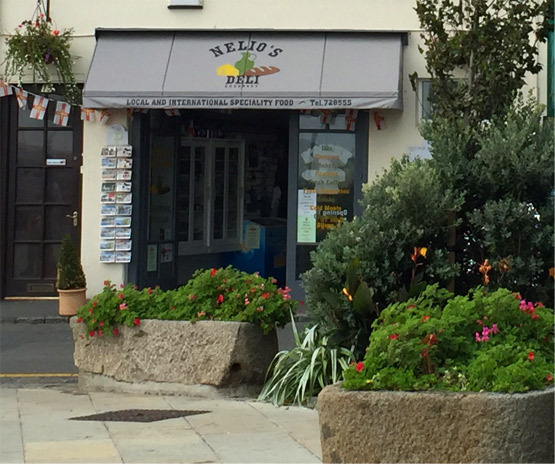 Client Feedback: Nelio Ponte, Nelio’s Deli. I was approached by Nelio to design a logo for his new Guernsey based delicatessen. After going through different concepts it was decided that the logo be comprised of simple bold, bold silhouettes of bread, cheese and an ornate olive oil bottle. The logo is used on all their printed material including menus and outdoor signage. I was also tasked with producing a double sided flyer for the grand opening which would be handed out to locals and visitors around St Peter Port. 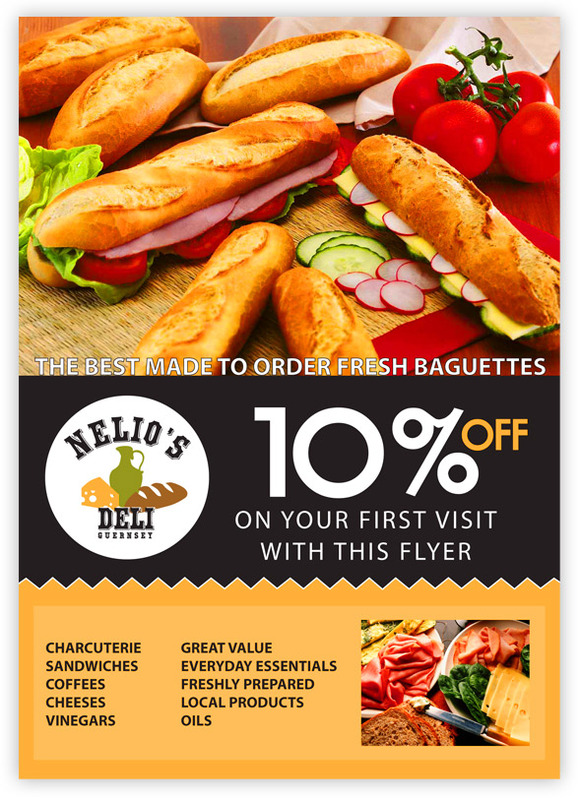 The flyer would act as a voucher allowing customers 10% off their first order. The reverse of the flyer included a map so people would know where the new deli was located. If you would like help or advice with logo design, setting up a new logo or printed advertising material please get in touch, I’d be happy to discuss your requirements.